Suppose that you want to purchase a new car and the cost of the model that you like is $18,000. Unfortunately, you have only $2000 in your savings account. You do have a credit card, but your credit limit is only $3000. How can you get the money to purchase the new car? The answer may be through a consumer loan. Although the use of credit and consumer borrowing are similar in that both entail debt, there are some important differences. Recall that credit is granted up to an approved amount before the credit is used. The grantor of credit does not have to approve your use of credit is time you want to use it. In addition, credit card payments are flexible. You are required to pay only a specified minimum amount, or you may repay the entire outstanding balance. In contrast, consumer borrowing refers to obtaining funds from a lender under specific loan provisions. 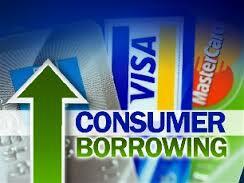 The funds obtained through consumer borrowing are called consumer loans. These loans are usually made for a specified purpose and most be paid according to a specified schedule. Consumer loans are necessary because few people can pay cash for the big-ticket items, such as cars or appliances, so they must borrow the money to make the purchase. Consumer loans offer several advantages. Without them, many of us could not afford expensive goods and services. Of course, you can wait to purchase a car until of you have paid enough money, but borrowing permits you to enjoy the use of the car while you pay for it. The ability to borrow also provides financial flexibility since payments can be stretched over a longer period, if necessary. For example, you can repay four years of college loans over ten years after you graduate. Finally, you can borrow to cover unexpected expenses and emergencies, such as uninsured medical bills or unexpected car repairs. There are, however, some disadvantages of consumer borrowing. For one thing, you must pay interest on the loan. 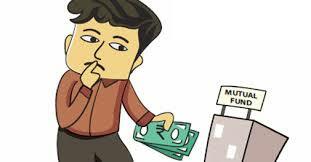 Interest is in charged levied by lenders to compensate them for not having the use of the funds they lend. Many people might not know that coupons offer you an extremely competitive edge in saving money to build wealth. By redeeming coupons, you will be able to have a little bit more to spend than you would have had if you did not use the coupons. You can use this money to build your savings pile in your account, or you can funnel it to pay off something else. In the end, you will be the one to benefit. Credit cards also have awesome rewards like free flights and offer you lower rates for specific services. Instead of paying the full rate for the services specified, take the opportunity and use your credit card instead and thus save money. With the advent of the internet and search engines, it is now easier than ever before to scout for deals on purchases such as car purchases and insurance covers. There are websites which are dedicated solely to showing you the different prices that different companies have for the same commodity. This will offer you the cheapest option for whatever you want, whether it is a car, a boat or a home. The savings that you will make can then go towards building your war chest for a rainy. 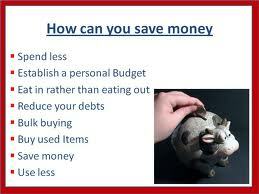 You do not need a savings thesaurus to tell you that saving money is the same thing as building wealth. Investing in mutual funds is often touted as one of the easiest ways for the ordinary man or woman in the streets to make a lot of money and build wealth that can be used to take care of retirement planning, or to create enough money for other investment projects that will in turn bring in even more money than you could have imagined possible. However, before taking all of your money and putting it into mutual funds, there are a few basic things that you will need to know about them. This knowledge will prevent you from making a mistake and ending up with thousands of dollars of losses. A mutual fund basically refers to a number of investors, companies and other people who bring or rather pool their money together so that it can be used to make investments in the stock market and money market. The assumption is that pooling together of individual resources for investment purposes will yield higher returns than simply going it alone. In a mutual fund, a professional money manager will make all the investment decisions on behalf of the group of people and institutional investors. What are the benefits of mutual funds? There are many advantages to be derived from mutual funds. The first is that you will not be in charge of your investments, as this work will be delegated to a professional money manager who will have all the knowledge and expertise required to make wise investment decisions on your behalf. As such, you will not have to spend hours reading thick tomes of market statistics so as to come up with a suitable investment strategy. You will be able to focus on other duties and other activities while still earning money on the side. This is what makes investing in mutual funds so attractive. 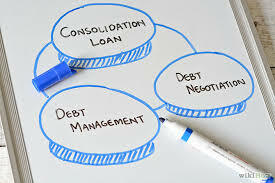 It is very important that you choose the right debt consolidation service with a lot of care. This is due to the fact that choosing the wrong one will only lead to disappointment and an increased debt obligation load, as you will have to pay exorbitant fees for the poor service that you will be receiving. Make use of friends and coworkers who have gone through the same thing that you are going through. These are the ones who will guide you and show you the best services that you should approach to help you through this terrible time. You can also use the internet to get more information on debt consolidation and on how to choose the best and most affordable service. You will also need to look for additional sources of income so as to pay off your loan. This could be achieved by refinancing your home, or selling off some of your investment assets. Consolidation loans are helpful in digging you out of your financial hole. Retirement planning is an important financial goal for looking a comfortable future. Most workers want to be financially independent and have a comfortable retirement. The preceding data show that many workers are inadequately prepared for retirement. Saving for retirement should receive greater emphasis in a financial plan even if the amounts saved are relatively small. Because of the powerful effect of compound interest, small amounts saved regularly can accumulate to substantial; amounts over a long period. For example, if you save and invest only $10 monthly in a growth stock mutual fund in a tax-deferred retirement plan and earn an average annual return on 10%, you will accumulate more than $22.000 at the end of 30 years. Developing and implementing a financial plan should be realistic a definitive time line. For example, assume that Jennifer age 26 earns $28,000 annually and wants to save $15,000 for a down payment on a home within the next three years. She needs a specific financial plan to attain her goal. In this case, Jennifer has $250 deducted from her salary each month, which i s automatically deposited in to a savings account. She has also cut back on the purchase of clothes, entertainment, and vacations, and saves the money instead. She avoids impulse buying and pays off her credit card balances each month to avoid paying exorbitant rates of interest. ln addition, Jennifer used to spend an average of $5 daily to buy lunch at a nearby restaurant; to save money; she now takes her lunch to work (“brownbagging”) rather than eating out. At the end of three years, Jennifer has accumulated $15, 000 and has attained her goal. Her success is due to a realistic financial plan with a definite time limit. In the preceding example, we discussed only one financial goal. 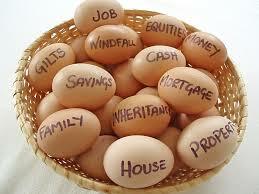 A more comprehensive financial plan with numerous financial goals may require the assistance of professionals. A Chartered Life Underwriter (CLO), Certified Financial Planner (CFP), or Chartered Financial Consultant (ChFC) can provide valuable assistance to help you identify you r financial goals and to develop effective strategies for attaining such goals. Competent insurance agents can recommend the right type and amount of life and health insurance, disability income insurance, home owners insurance, and auto insurance to meet your insurance needs. A competent and ethical account executive of a brokerage firm can provide valuable advice on the various types of investments to meet your investment goals. Finally, you may need an attorney to draft a will or other trust documents, especially in estate planning.